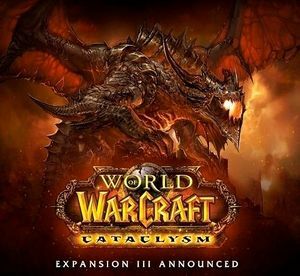 The release of World of Warcraft: Cataclysm has reduced the number of intrepid adventurers available to defend the world’s fantasy realms to dangerously low levels. AULERIA, The Basement of My Friend’s Mom’s House -- Ceriel Quentiela, a Level 19 Elven Sorceress and the Kingdom of Auleria’s chief diplomat, confirmed the realm’s worst collective fears yesterday: the small Elven kingdom has been left totally defenseless due to virtually all of its resident adventurers abandoning it to play the new World of Warcraft expansion pack. “The notion that a vague, foreboding evil is gathering itself to martial against our fair Elven kingdom would by itself be cause for alarm,” said Ceriel Quentiela to UnNews reporters Monday. “But the fact that almost all of our adventurers have left us at this dire time to play WoW makes the situation all the more pressing. This may very well be the most danger the kingdom has been in since a few weeks ago when Vindictus came out,” said Quentiela. The Kingdom of Auleria is hardly the only fantasy realm to be faced with this daunting problem. The great dwarven city of Glyndowiel has been left totally defenseless against the orc and gnoll marauders that regularly pillage its hinterland, with the wood gnome kingdom of Júmgala and the Great Temple of Kord being abandoned to similar fates. Recent reports indicate that even larger and more established fantasy realms are struggling to hold on to their adventurers, as Ebberon has been all but abandoned and the Forgotten Realms have, unironically, been all but forgotten. The current dearth of available fantasy adventurers has also negatively impacted the economies of many fantasy realms, sources say. According to official estimates, the transaction of adventuring gear makes up anywhere from 25% to 65% of the gross product of many fantasy realms, and the abrupt downturn in these sales has all but crippled their economies. The anonymous merchant’s words seemed to express the general consensus of fantasy shopkeepers everywhere, as even fantasy businesses that deal with adventurers only in passing are taking a hit. 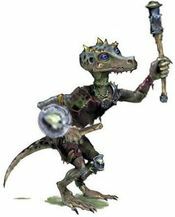 Perhaps the only group to benefit from the current dearth of adventurers are low-level minions like this kobold, which is even less threatening than it looks. “I gave a sidequest to a group of adventurers not too long ago to fetch me the pelts of twelve dire wolves,” said a merchant from Greyhawk who also wished to remain unidentified. “Thus far I’ve only received five back, and the way things are looking it seems as though I won’t be getting the other seven any time soon, rendering my whole arbitrary fetch quest totally pointless. I mean, what’s a guy going to do with just five dire wolf pelts?” concluded the merchant. But perhaps no one demographic has been hit as hard as the fantasy tavern and inn owners. Even the forces of evil are feeling adverse effects of the adventurer shortage. Ankolegon the Black, an epic-tier Level 27 Black Dragon, told UnNews reporters that he was “disappointed” by the lack of adventurers to combat. “I was expecting a showdown with a party of adventurers this week,” said the terrifying monster. “I even sent out memos to all of my kobold minions telling them to expect an adventurer band soon, but, alas, they never came. Now I shall return pillaging the countryside unabated,” continued the horrific evil entity. The dragon’s minions had a decidedly different take on the matter, though.